Intel's RealSense tech finally gets a standalone desktop solution. If you want to see Twitch/YouTube’s influence on the games industry, look no further than this: Here in 2016, Razer—of neon-green-and-black gaming peripherals fame—is putting out a webcam. “The world’s first webcam designed for streamers,” says this press release. The real surprise is that it didn’t happen sooner. 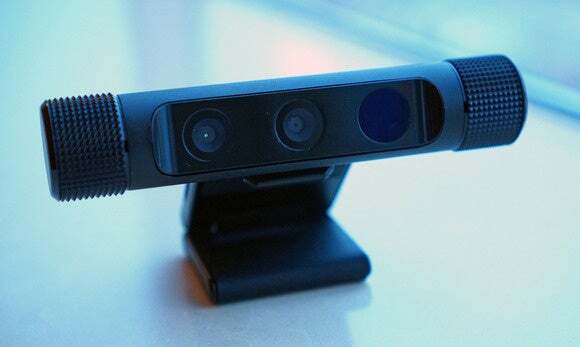 The humble webcam has received little attention in recent years, which is surprising given the amount of video content on the Internet nowadays. The gold standard, the Logitech C920, is pretty ubiquitous in Twitch/YouTube circles and it’s four years old. In peripherals, that’s ancient. But a flurry of new tech is slowly proliferating through the channels now—Intel’s RealSense 3D camera tech and Windows 10’s “Hello,” which lets you use facial recognition to log into your computer. And, of course, Twitch/YouTube. Suddenly there’s a need for a better webcam. 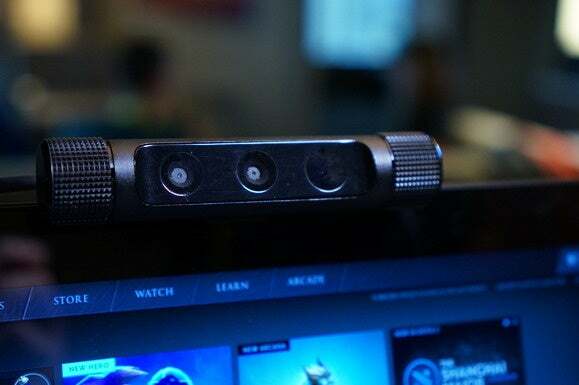 It’s perhaps deceptive of Razer to say they’ve made a gaming-centric webcam. Or maybe not deceptive—just good marketing. 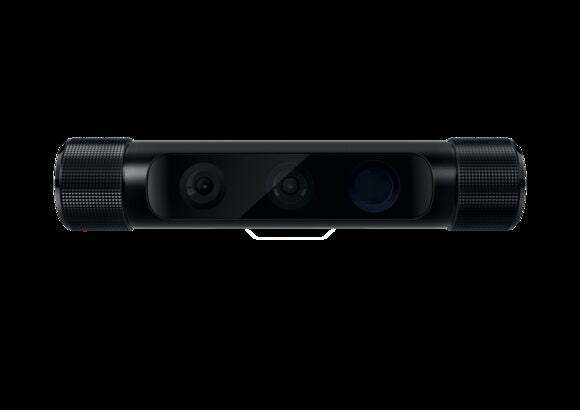 What Razer’s done is adapted Intel’s RealSense camera for desktop use. Until now, RealSense was always built into a computer, embedded into laptops or all-in-one PCs. Razer’s Stargazer functions like the C920, meaning you can set it on top of your existing monitor. And voila—now you have a webcam “designed for streamers.” I’m serious. Regardless of the marketing, Intel’s RealSense tech does seem like a smart bet. Professional Twitch/YouTube streamers often have unwieldy green screen setups behind them to isolate their face from the background. This requires a large green piece of fabric, something to hang it on, and usually one or two lights. RealSense, with its depth-sensing tech, can automatically remove whatever’s behind a streamer. Pretty nifty. A partnership with Razer simply makes sure this tech gets in front of people who play video games—people who might hear “Intel RealSense 3D webcam” and tune out. The other gaming-centric feature Razer’s pushing is the ability to stream/capture 720p, 60 frames per second from Stargazer—something you’d only care about if you were using it alongside PC games running at that frame rate. For corporate meetings/Skyping with grandma/et cetera, Stargazer can still do 1080p, 30 frames per second. Stargazer’s remaining features are a grab-bag of oddities. Facial and gesture recognition? 3D scanning? FaceRig support? While welcome, these features belie Stargazer’s RealSense origins. They’re certainly not features the average Twitch user will explore. Last but not and least, Stargazer sports a noise-canceling, dual-array microphone. I’m sure it’s a decent microphone for a webcam, but anyone using this for Razer’s intended purposes (Twitch/YouTube) undoubtedly owns something better. The main concern is one of cost. Stargazer’s tech might be perfect for streamers, but its price certainly isn’t. I opened this by discussing the ubiquity of Logitech’s C920, a 1080p30 webcam that’s become a Twitch and YouTube icon. On any given day you can go to Amazon and find the C920 for $60-70. That’s already expensive for a webcam, but Stargazer? Razer’s tagged it with a Razer-size price tag of $200. That certainly prices it out of range of some teenager streaming in his or her bedroom, and maybe even prices it out of range of that teenager’s parents. We’ll see. Razer has Stargazer pegged for a Q2 2016 launch, at the aforementioned $200 price. Stay tuned to PCWorld all week for more Razer news and everything else coming out of CES.